This dish happened couple of months back, when Mangoes was in season. The dish just happened and yes end of it, I was so glad that I just went ahead with the flow and made this dessert. I was making palkova and mid way to it, I felt I could do a parfait. So removed some of the simmering milk in the condensed stage, and continued with making the rest to the thick palkova stage. Finally when everything was done, went on making this. If I remember right, it was one of those days when we actually had rains in midst of blazing summer and yet we enjoyed this delicious treat. Now I will have to wait for a year to make this again! The weekend was off and never knew how the day simply vanished. However I had a task to be done and it was working on the ICC post and the entire evening was only dedicated to it, with so many pictures and elaborate process. Konda had loved it and wanted to keep some for her friends, however with Monday being a holiday, I was sure nothing would pass by Sunday. Just as I thought, nothing was left by evening. Coming back to the dish for the day, this was the only fusion I decided on, The mangoes were the sweetest, the palkova, naturally need not be said how it was. However I will go and tempt you further. It had just the right amount of sweet and creamy. Not to forget the iced cream. That was really the icing, it really lent such a delicious touch to the entire dessert. I served in individual glasses and everybody simply loved it! In a thick bottom pan, simmer the milk and continue cooking till it becomes 1/3 of it’s volume. Add sugar at the stage when the milk is almost reduced. Towards the end of the cooking process of palvoka, remove 2 tbsp of the sweeten milk and store. Keep stirring until the palkova sets. In a serving glass, place a tsp of palkova, followed by mango pieces. Pour the condensed milk over this, layer with whipped cream. Next again have another layer of whipped cream. Finally garnish with mango pieces. This tasted simply too good. I know we may not end up making palkova just to make this dish, however it was all worth the efforts. Maybe we can simply use condensed milk or even make dulce de leche for this. Anyway can be done, this is just a template. Fuse it as you like. Simply irresistible and wat an incredible fusion,mindblowing Valli.. Cant wait to make this parfait. This is a superb fusion indeed! I wanted to make palkova tart for Krishna Jayanthi, but couldn't that Day. Im glad you managed soemthing so different with palkova!! 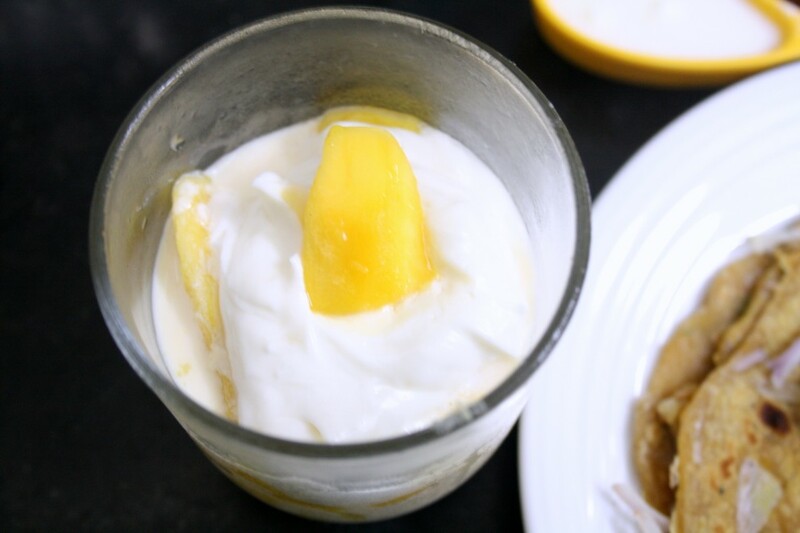 OMG, that is such a delicious combination.. Palkova & mango in a parfait, just sounds so exotic and tempting. wow very very interesting fusion makes me drool 🙂 looks so yummilicious !! Omg that's an incredible treat ! Love mangoes in any form and that parfait sounds yummy.. Wonderful Fusion. Mango, milk and reduced milk (palkova).Heavenly combination. 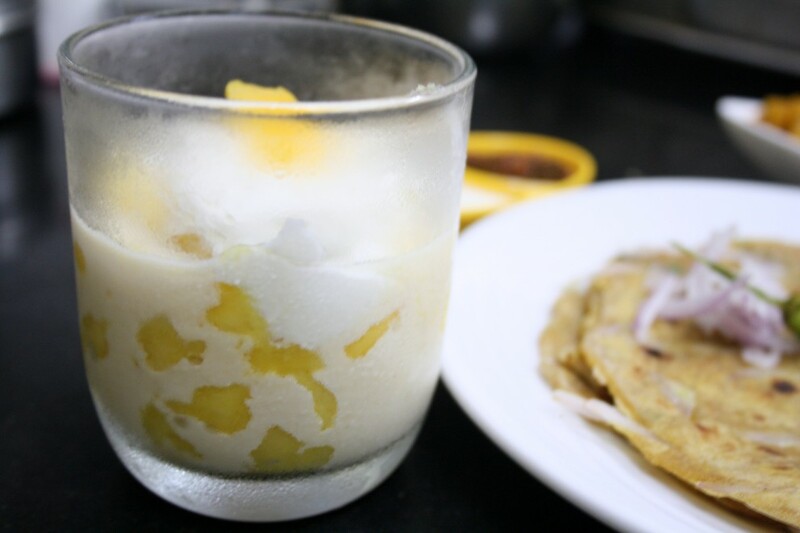 Palkova was a new word for me so I googled and found out it is like Milk Cake or Doodh Pedha. wonderful combo ! Must be extremely delicious ! As long as one uses mangoes in any dessert..it's definitely going to be delicious..loved this fusion dessert..super innovative. Wow Valli. What a delectable fusion dessert. mango my favorite fruit…had to be delicious for sure! 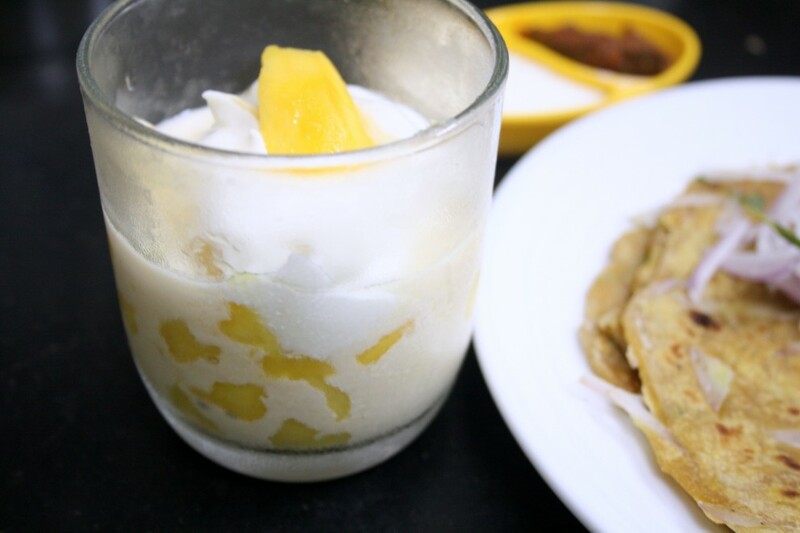 This looks wonderful indeed and its a shame we have to wait for an year to make this again :(…Next year, I am going to freeze mangoes for sure !! The layers sounds delicious and I can imagine how good they tasted together…. should have tasted awesome!! looks perfect!!! That's an interesting twist. Love the idea of palkova and mangoes..
Sinful dessert aka Mango cream palkova parfait!! Just mind blowing, Valli. Love this dessert.. so creamy and tasty. Valli this is amazing. I love it and I am drooling so much at your pics.